Breast Cancer Month Blog: Breast Cancer concerns? What Cosmetic Surgery can do for you. Are Breast Implants safe after having breast cancer? Can I examine my breasts for lumps after having Breast Implants? Busted about my Breast Implants! Will people know I’ve had Breast Enlargement Surgery? Celebrity Cosmetic Surgery: A Good Advert? Kirsty’s Breast Enlargement surgery experience: REAL patient report! 3 Cosmetic Surgery procedure tips to stop YOU losing the X Factor like Cheryl Cole! Breast capsules – what is the best treatment for me? What are breast capsules and how are they best treated? When will I be able to get back to normal activities following Breast Enlargement surgery? How uncomfortable will I be after breast surgery? Can I develop bad scarring following Breast Enlargement surgery? What type of breast implants are most used in the United Kingdom? I am considering breast surgery. What advice would you give me to help me select my surgeon? Here Carly talks about her recent Breast Enlargement Surgery that she had carried out six weeks ago by Mr Adrian Richards, Leading Plastic Surgeon for Aurora Clinics. 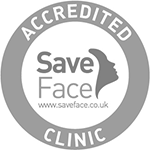 To find out more about Mr Richards and the procedures he carries out please visit our website. Polyurethane-coated implants: are they a significant advance? Rippling following Breast Enlargement – what is the cause? Is it possible to remove breast implants and still achieve a reasonable size bust? Saline implants – is there a reason for having them? How can I tell whether my breast implants are under the muscle? Which is the best incision for breast implants? Can you have a breast enlargement after Macrolane? Breast implants – do they need replacing? Polyurethane Implants – what’s all the fuss about? When should you replace your implants?